Connecting with your vendors is a critical aspect of property and facilities management. While an engineering staff may have a broad depth of experience, they cannot handle every job that comes their way. That’s where Easyworkorder’s Vendor Dispatch comes in. 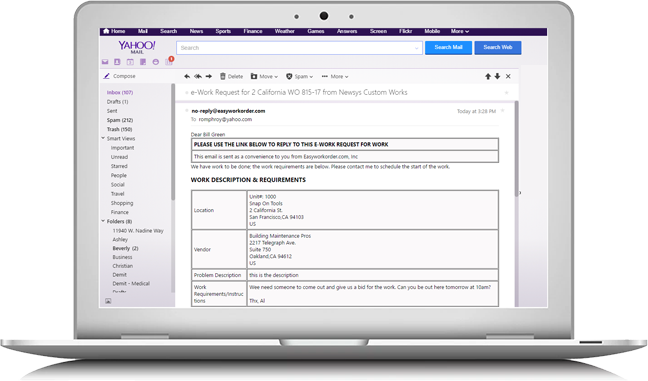 Easyworkorder makes it a snap to dispatch work to your preferred vendors, right from within a work order. 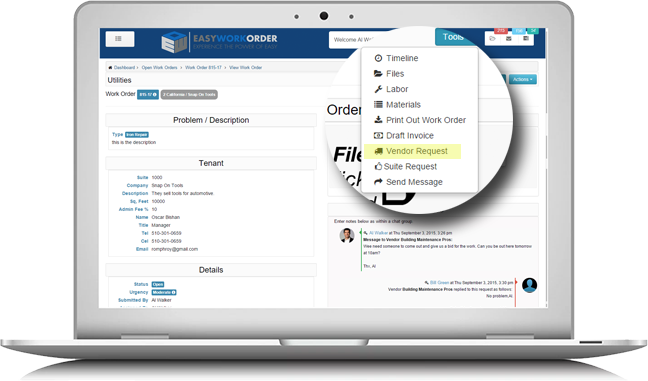 Easyworkorder’s vendor dispatch saves, on average, one hour per work order versus conventional phone, email and fax communication. Dispatching work to your preferred vendors is as easy as selecting them from a list and typing in your instructions. 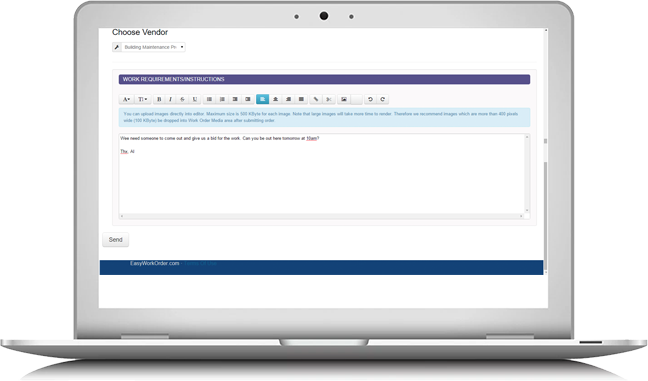 Easyworkorder covers the final 180 degrees of communication between you and your vendor by making it easy to reply directly from their email. 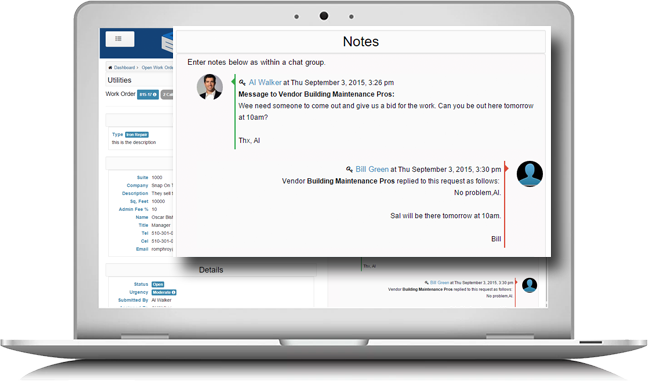 Once your vendors have replied, Easyworkorder displays the full running chronology of activity and communication between you and your vendor. Now, your entire team will know what’s going on.